Want to do Is Diploma in Environmental course so tell its is Andhra University offer Diploma in Environmental course? Question: Give me information about Diploma in Linguistics course which offer by Andhra University? Eligibility: Candidate must have bachelor degree in any discipline from recognized university. Approved by the BOS in Linguistics to be started from July, 2004 after being approved by the Academic Senate of Andhra University. Does the Andhra University offer Diploma in Sanskrit Junior??? Does the Andhra University offers Diploma in International Business course, please give me some information related to the Andhra University Diploma in International Business course? The Andhra University is one of the oldest and accredited by NAAC with ‘A’ grade has established an international image in academic excellence. 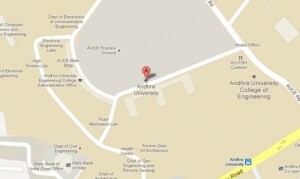 Is the Andhra University offers PG Diploma in Human Resource Management and Information Technology? The applicant should have Graduate degree in any discipline. Tell me about Diploma in Human Resource Development & Industrial Harmony course offer by Andhra University? Eligibility: Graduate degree in any discipline from recognized board. Please provide me the Andhra University Diploma in Functional Hindi & Translation course duration, & eligibility? The applicant should have graduate in any discipline from any recognized University.